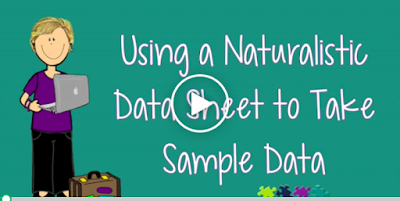 ✓ A streaming video for teachers and staff to watch on how to complete the included data sheet. 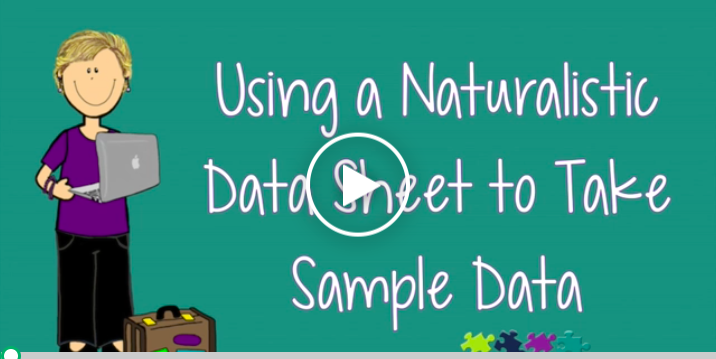 This video includes tips and reminders for taking sample data (e.g., don’t include data from other times of day on the same data sheet). ✓ An Excel spreadsheet (in zip file) with completely editable data sheets with 2 examples of how they can be used. If you found this video useful for you and your staff, come back for more as I add modules to the series. This product is copyrighted to Autism Classroom News-Christine Reeve 2016 for use in one classroom or caseload. They may not be copied for additional classes without purchasing extra licenses. For bulk discounts, please email me at autismclassroomnews@gmail.com.